Iran tells fellow Muslim countries it hopes nuclear deal would pave the way for more cooperation. The country’s Foreign Minister, Mohammad Javad Zarif, made the comment in a message to Islamic and Arab countries on the occasion of the Eid al-Fitr holiday at the end of the Muslim holy month of Ramadan, the ministry's website said. 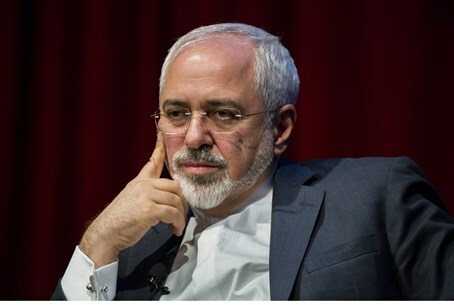 "By solving the artificial crisis about its nuclear program diplomatically, a new opportunity for regional and international cooperation has emerged," Zarif said, according to Reuters. The Iranian foreign minister will travel to Gulf countries at some point after the Eid holiday, Foreign Ministry Spokeswoman Marzieh Afkham told state news agency IRNA late on Thursday. She said Iran was seriously determined to further expand ties with regional states and its neighbors, some of which include Sunni Muslim Gulf Arab states who accuse Shiite power Tehran of interfering in the Arab world. The nuclear deal might be a tough sell for the Gulf states, which have voiced their opposition to the deal. The major Sunni states have warned that a final agreement could allow Shiite-dominated Iran, their regional rival, to keep the technologies needed to produce nuclear weapons. Saudi Arabia’s Foreign Minister, Adel al-Jubeir, on Thursday warned Iran not to use the nuclear deal to pursue "adventures" in the Middle East, but rather use it to improve its own economy. On Tuesday, after the deal was announced, the official Saudi news agency quoted unnamed officials in the kingdom as calling on Iran not to abuse funds that will follow from the deal to cause turmoil in the region. According to Reuters, as part of the reaching out to other countries, Iranian President Hassan Rouhani on Friday also had a telephone conversation with his Turkish counterpart, Recep Tayyip Erdogan, and underlined that importance of the Vienna agreement for Tehran-Ankara relations.